Machine learning is transforming industries. However, opaque algorithms, low-quality, muddled data, and loosely defined problems often make it difficult to tell the value-add from the speculative. Clarify Health’s approach to machine learning is built on the same foundations used by the leading banks, consumer, and logistics companies. Our methodology delivers actionable insights by drilling down to individual physician and patient cohorts. We call this “precision cohorting”. 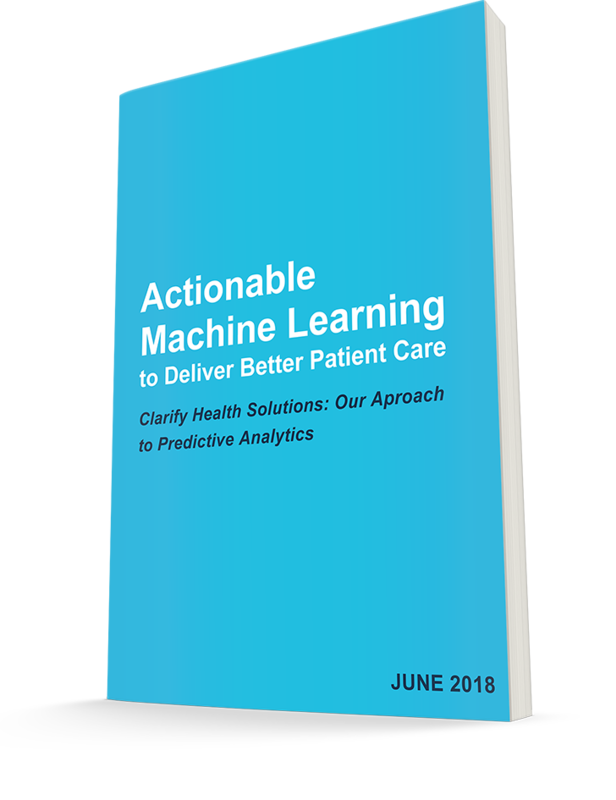 This approach provides physicians with a level of granularity that reveals actionable insights, relatable data points, and, over time, a comprehensive view of a patient's journey. ©2015-2018 Clarify Health Solutions. All Rights Reserved. 140 2nd St, Suite 200, San Francisco, CA, 94105.